Homepage>Exhibitors & Products >KLARA Premium Reactive Power Compens. 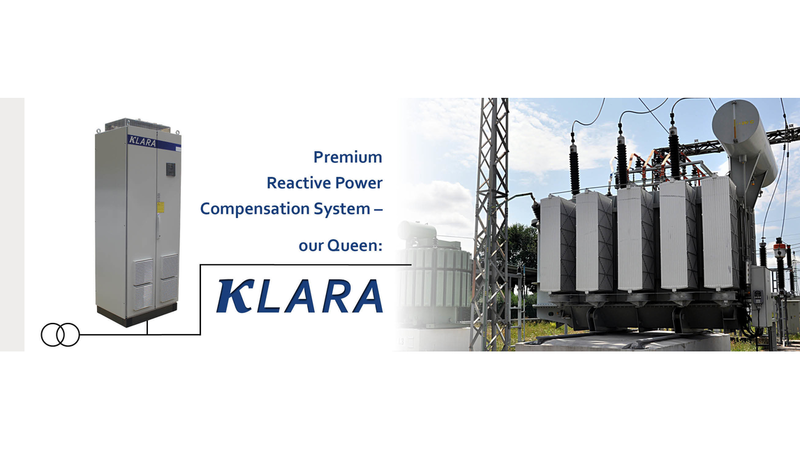 KLARA Premium Reactive Power Compens. Even in times of increasing energy efficiency there are still numerus inductive loads connected to the power grid which do require, besides active power, also reactive current to operate. The resulting reactive power is stressing the grid and transmission equipment. Furthermore, costs for reactive power are arising, which your company is being invoiced for by the energy provider. The avoid those disturbance factors mentioned before, our engineering team has developed the product line KLARA.